It’s been such a strange week, with Malcolm starting middle school and summer coming to a close and me sort of starting a new job. I’ll tell you what I keep thinking about, the image that keeps playing over and over in my head. One evening we went down to the river. The sun was beautiful as it set in the blue-shadowed clouds, the trees were beautiful as they settled into fall. Isaac danced around collecting conkers with David, who could reach into the branches. Later Isaac would bring the conkers home and leave them on a table with a sign that read “choos yore chestnut.” He labeled them small, medeum, and large. I’d been asking Malcolm all day long about school. I get little snatches of information, but I really have no idea how he feels about it all. I was trying not to hound him, but you could tell he didn’t want to talk about it anymore. Well, he went into the water, and he went way out to the middle of the river, all by himself, and he stood battling the never-ending current. It came gently but relentlessly towards him, and he splashed against it, in a world by himself, in his element, thinking. 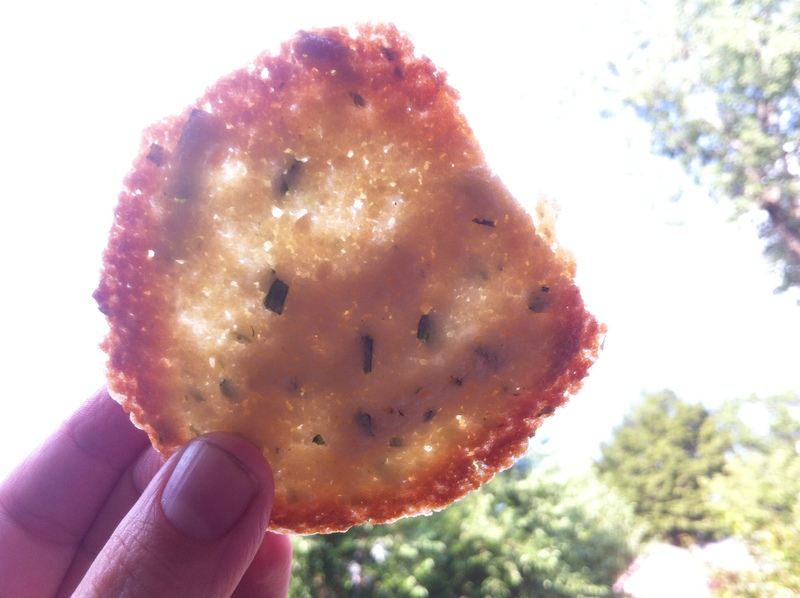 Tarragon in something sweet! In cookies! Light lacy almond cookies! I’ll admit I was a little scared to try this, because I’ve always thought of tarragon as a savory flavor. But I’ve also always thought that the lemony anisey taste would be nice in a sweet setting. So I only added this to half the cookies. They turned out absolutely delicious, with a light, haunting addictive flavor. Here’s Sister Rosetta Tharpe with Down by the Riverside. Preheat oven to 350 and lightly butter two big cookie sheets. In a food processor whizz the butter till it’s fluffy. Add these sugar, egg and vanilla, and process again until smooth and even fluffier. Add the almonds, flour, and salt and process until the almonds are quite finely ground and everything is combined and smooth. Add the tarragon and process until it’s incorporated but not completely puréed. You want flecks of green. Put teaspoonfuls of dough quite far apart on the sheets. They’ll spread out, so leave a couple of inches. Bake until the edges just start to brown, about ten minutes. (Although I’m still using a toaster oven to bake, so keep an eye on them!) Let cool on the sheet for a minute, and then move to a wire rack to cool. 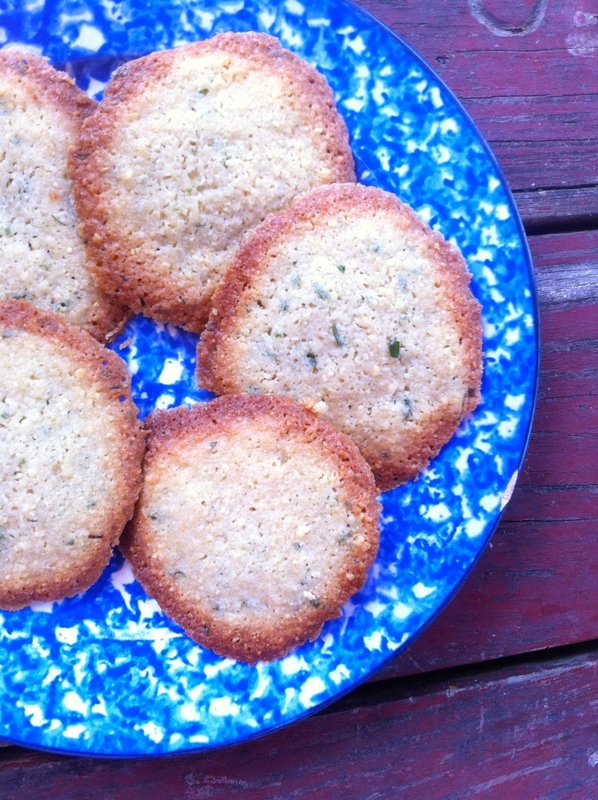 This entry was posted in cookie, dessert, recipe, Uncategorized and tagged almond cookies, crispy cookies, tarragon cookies, tarragon sweet by Claire. Bookmark the permalink.